Washington, D.C. – Today, U.S. 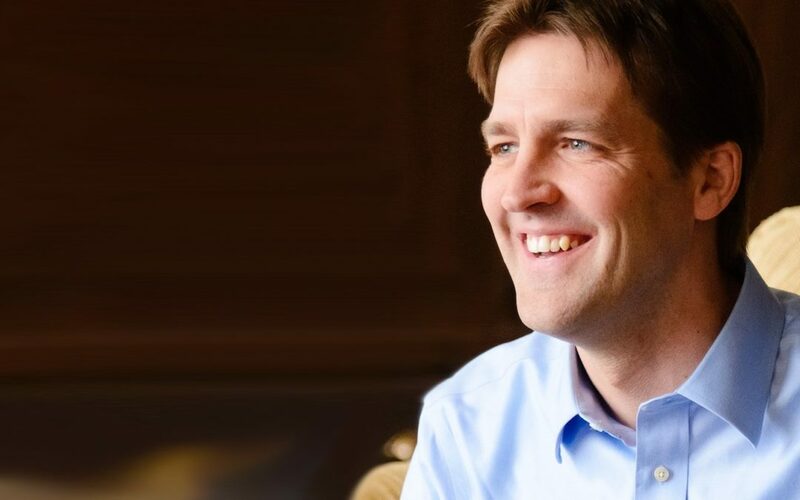 Senator Ben Sasse, who has introduced S.2066 the Born-Alive Abortion Survivors Protection Act, testified before the House Select Investigative Panel on Infant Lives at hearing to examine the pricing of fetal tissue and whether abortion clinics and middleman businesses were making a profit from the transfer of human fetal tissue — a violation of federal law. Thank you for the opportunity to testify before the Select Investigative Panel on Infant Lives. Many of us in the Senate, like you in the House, and more importantly millions of Americans watched with grief and horror the video footage of abortion clinic doctors and others discussing the sale of baby body parts for profit. As a legislator, but more importantly as the father of three precious little ones, I support your investigation and commitment to get to the bottom of what is going on. Yet here, in today’s documents and exhibits, we see the following: A procurement business brochure and website that urges “partner with us and improve the profitability of your clinic improve your clinic’s bottom line financially profitable.” That procurement business offers a payment per tissue to abortion clinics and offers to do all the work. The Abortion Clinic appears to have no costs. It appears to be precisely about profit. Questions of profit and legality matter because we are talking about people. It matters whether or not procurement businesses broke the law. It matters whether or not abortion clinics line their pockets through the dismemberment and distribution of children—all while receiving tax dollars. It matters because we are talking about the tiny limbs of babies with dignity—the broken yet still precious children of mothers and fathers. As the committee’s exhibits indicate—web pages exist where a customer can click on a drop-down box listing every organ in the baby’s body for sale. Just click on a brain, a heart, eyes, or scalp and then select your gestation period and then proceed to check out and select your shipment method. We should pause to linger here… and our humanity should be repulsed. In this committee room, and across the country, we will have passionate discussions and disagreements over the legality, the justice, and the social implications of abortion policy. Like many of us in this room, like a majority of Nebraskans, and like a majority across the nation, I believe that every baby is precious and worthy of legal protection, even at her earliest phases of development. I understand that others disagree. Our disagreement over abortion will sometimes be heated, but wherever possible, we should look for consensus. Here, on this basic reality, we can and must find agreement: Babies are not the sum of their body parts. Babies are not meant to be bought. Babies are not meant to be sold. Babies are just that—babies. They’re meant to be welcomed and rejoiced over, held and nurtured. Outside of our Congressional responsibilities here, many of us do welcome, hold and nurture children—we adopt, foster, and mentor them and offer hope, support, and encouragement to their parents. Madam Chairman, your work can and does transcend politics. I appreciate also your concern with children born alive inside an abortion clinic and the treatment they receive. When I think of all the survivors of abortion and think about your investigation into the sale baby parts for profit, it makes born-alive legislation all the more important.The Born-Alive Abortion Survivors Protection Act has already passed the U.S. House of Representatives by bipartisan vote of 248 to 177. I had the privilege of introducing the Senate companion legislation and invite my colleagues in the Senate—on both sides of the aisle—to work together and pass this bill. This law would simply ensure that babies who survive abortions get a fighting chance by requiring medical attention that would be offered to any other premature baby at the same age. No life is disposable. No child deserves to have her life ended cold and alone—struggling for breath—in an abortion clinic. We Americans frequently cheer for the vulnerable. We fight for the minority. We protect the powerless from the powerful. Baby girls and boys are fighting for their lives. I encourage my colleagues to fight for them and support S. 2066, the Born-Alive Abortion Survivors Protection Act. Madam Chairman, we look forward to monitoring the progress of this investigation, and thank you again for including me in this important hearing.